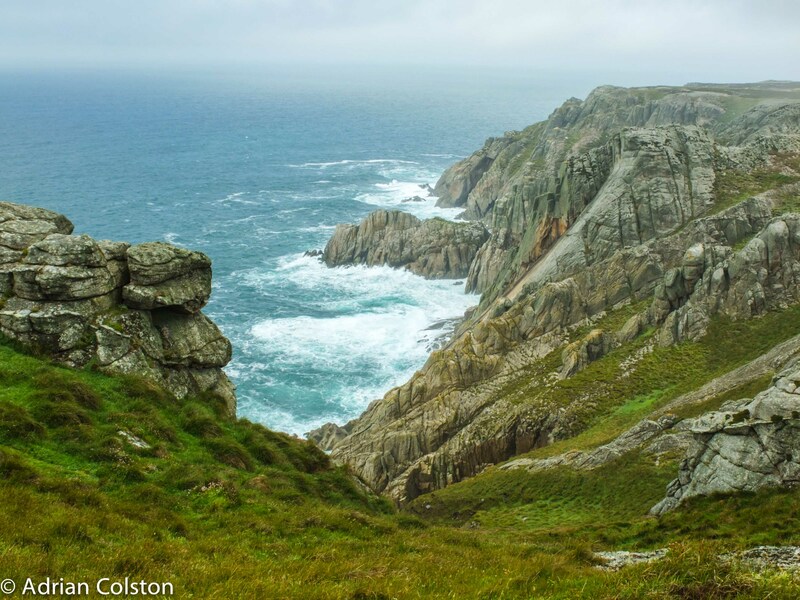 In 1965 the National Trust launched its Neptune Campaign for the Coast and in the same year the Landmark Trust was set up to conserve historic buildings so they could be used as holiday lets. So this year both organisations are celebrating 50 year anniversaries. 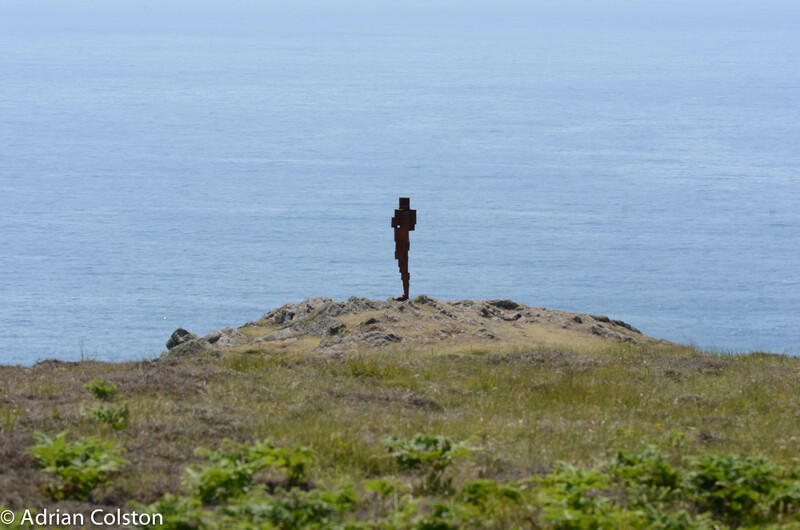 Both organisations have strong links with each other as the NT leases Lundy to the LT.
To celebrate the 50th anniversary of the Landmark Trust the internationally renown artist Antony Gormley has been commissioned to create and install a number of sculptures at some of their iconic places. Here is a link to a video about the project and here is some written information about the works. 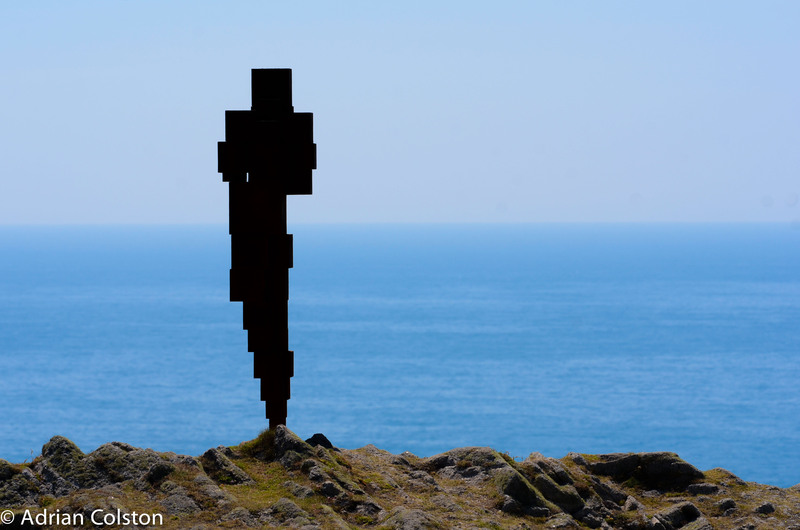 I was on Lundy for a couple of days at the back end of last week on a short break and saw the Gormley installation there – it is called Daze IV. I really like it. 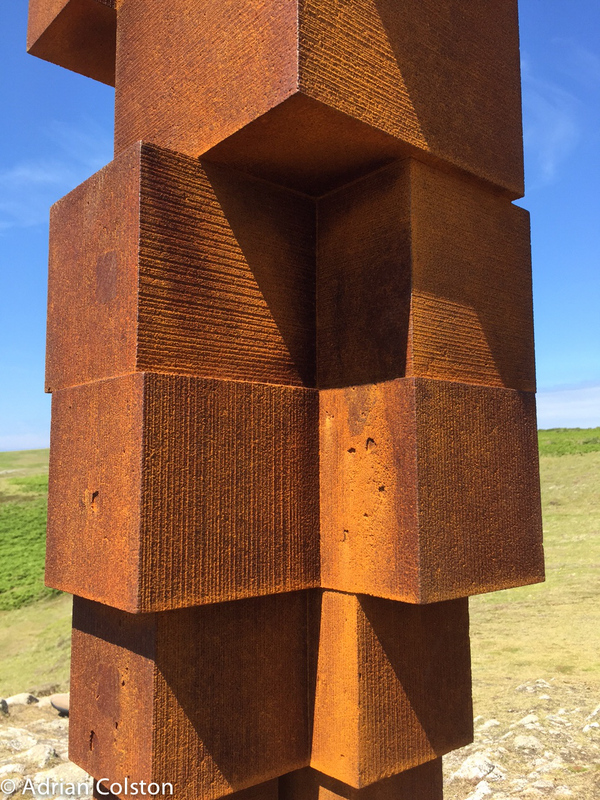 The installation will be on site above the Devil’s Kiln in the SW corner of Lundy until May 2016. More details here. If it wasn’t for the sea in the background this could be Dartmoor! 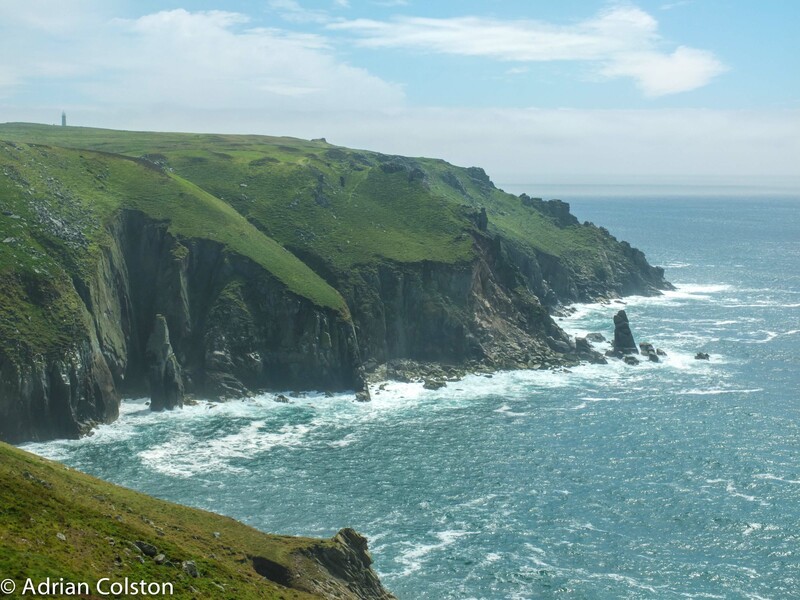 This year the National Trust is celebrating 50 years of our Neptune Campaign for the Coast. 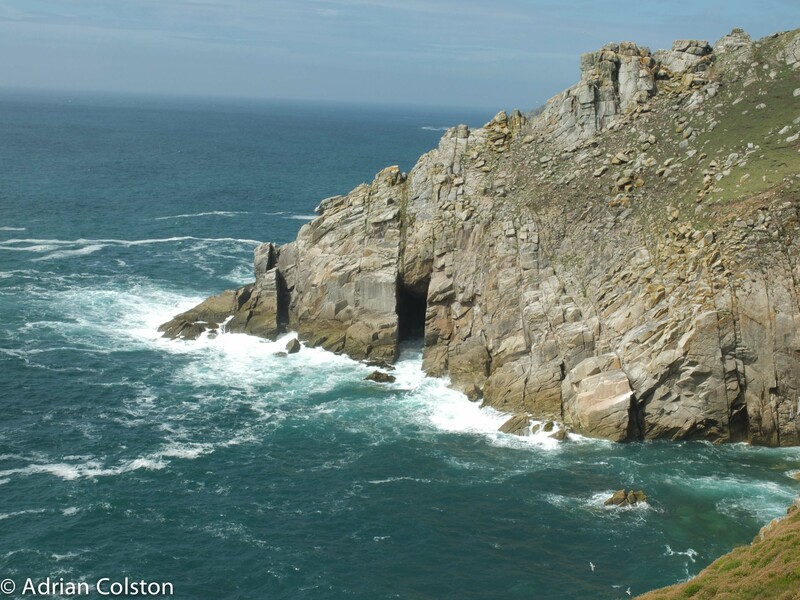 Lundy was bought by the NT in 1969 as part of that Campaign thanks to a very generous donation by Sir Jack Hayward. 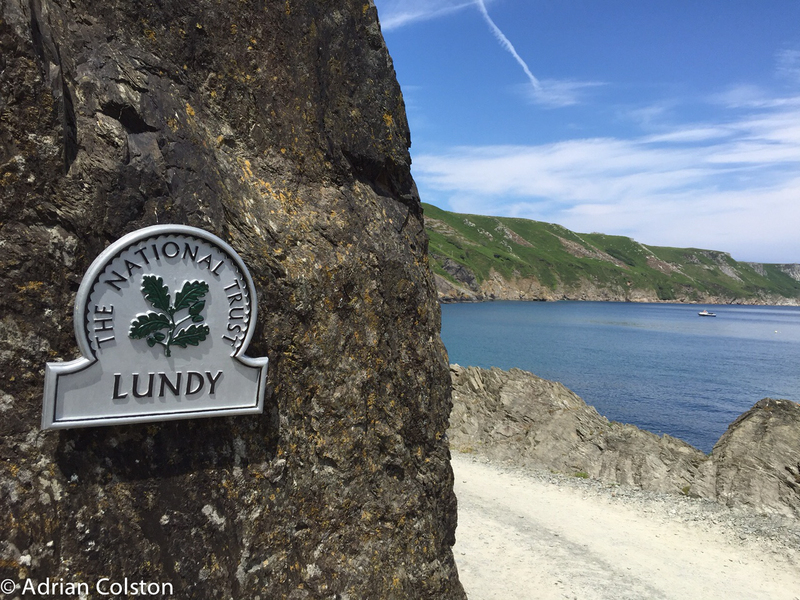 Lundy is now leased by the NT to the Landmark Trust. 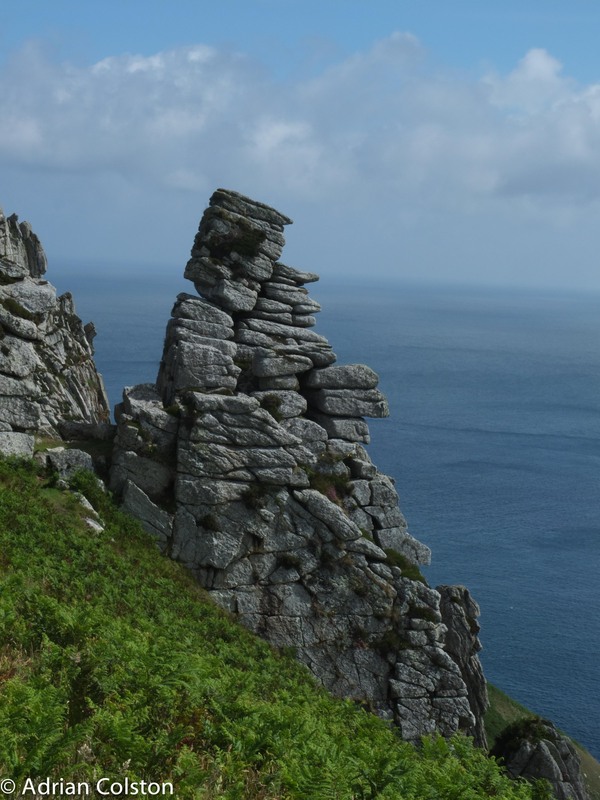 We have been on Lundy for a couple of days – this was my second visit – the first about 8 years ago involved travelling there and back for a meeting in the pub! 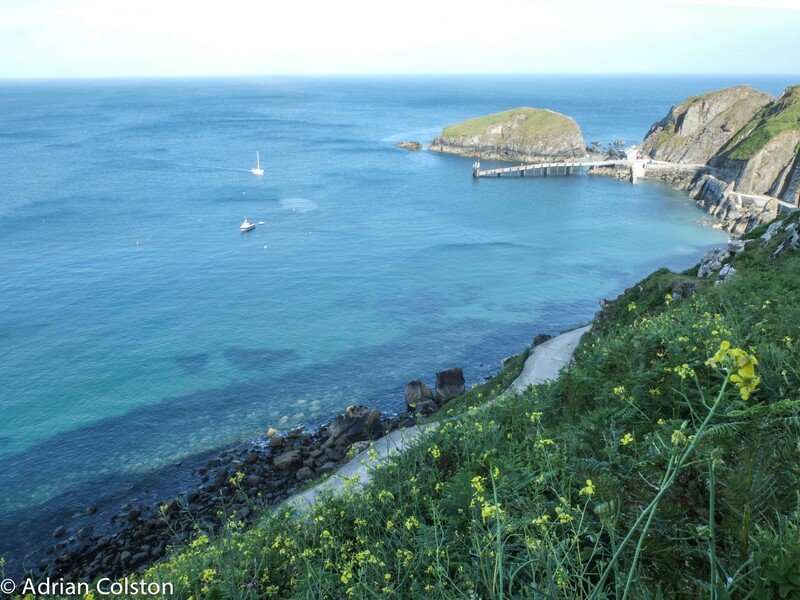 Lundy is owned by the National Trust and managed by the Landmark Trust. I will do a few blogs about my trip as it is such a wonderful place and there is so much to see. 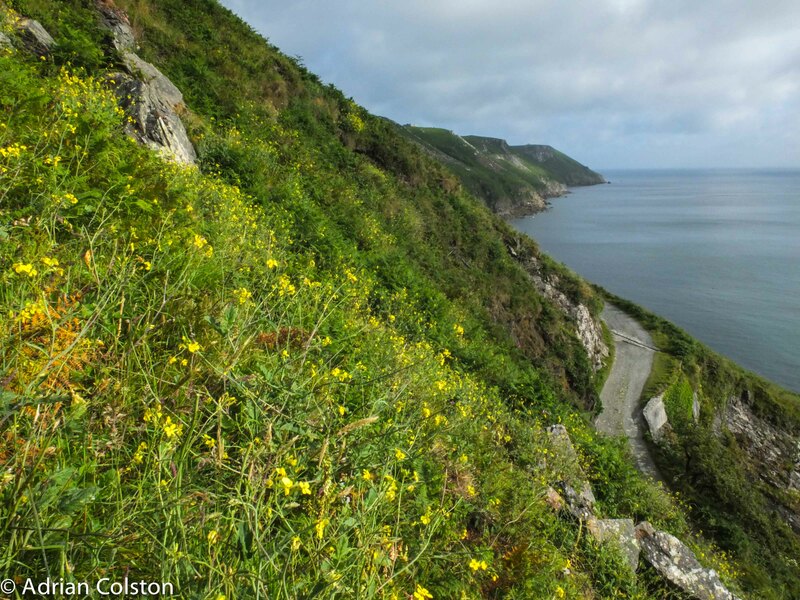 As a starter I will write about the Lundy Cabbage which is only found in the world on Lundy! 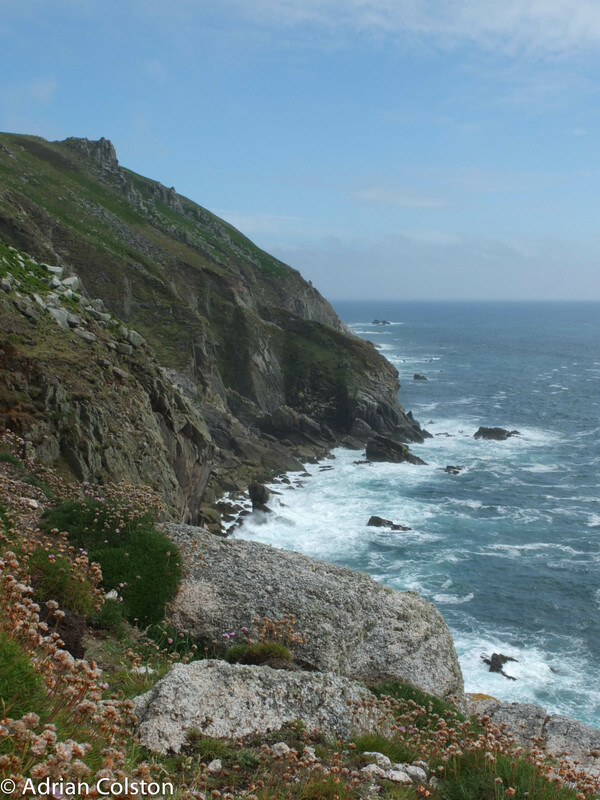 The Lundy Cabbage (Coincya wrightii) grows on the steep cliffs on Lundy. All the plants that I saw were on the eastern side close to the quay. 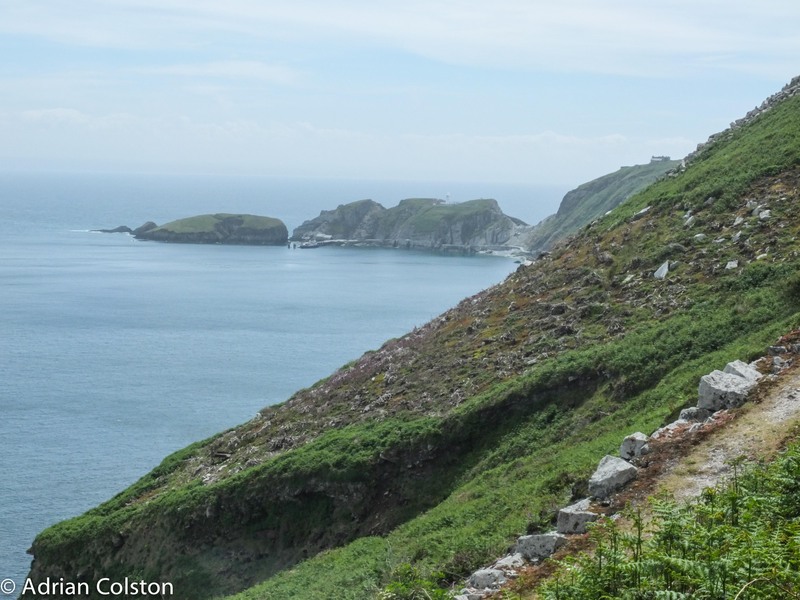 The Lundy Cabbage flourishes on Lundy but in the recent past was threatened by huge tracks of Rhododendron ponticum which were growing on and competing for the same habitat on the cliff slopes. The Landmark Trust, The National Trust, Natural England and various contractors have removed the alien rhododendron and as a result has created new habitat for the cabbage. This photo shows an area which has been cleared of rhododendron. 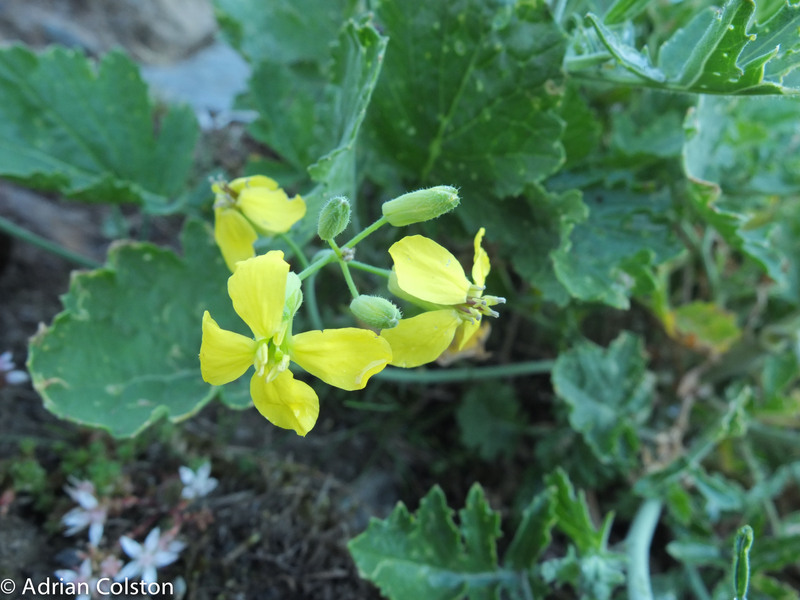 The Lundy Cabbage – unique to Lundy also supports a couple of tiny insects which only live on the Lundy Cabbage. It has been described as our version of the Galapogos Islands – evolution in action. The tiny little beetle above is the Lundy Cabbage Weevil (Ceutorhynchus insularis) and formerly known as Ceutorhynchus contractus var pallipes – it is only 1.5mm long! 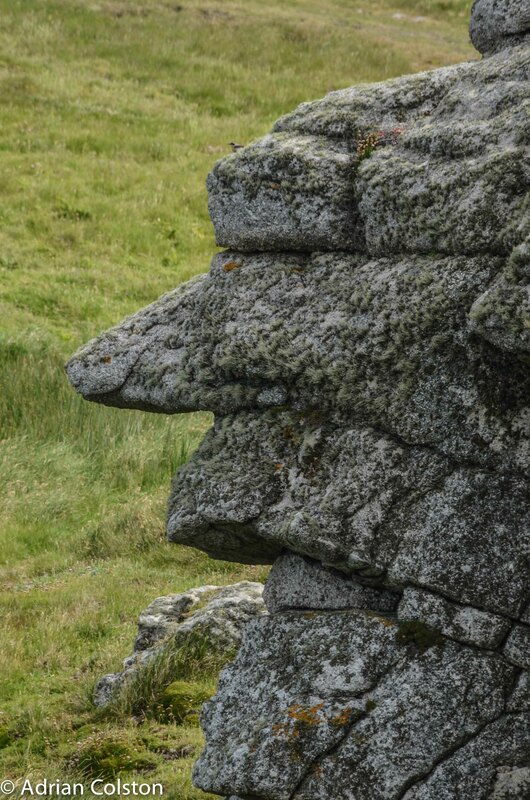 Note its ‘elephant like’ snout which it used to feed on the cabbage. This insect is unique (endemic) to Lundy i.e. it is is the only place in the world where you will find it! It is designated as Red Data Book 1 – Endangered. 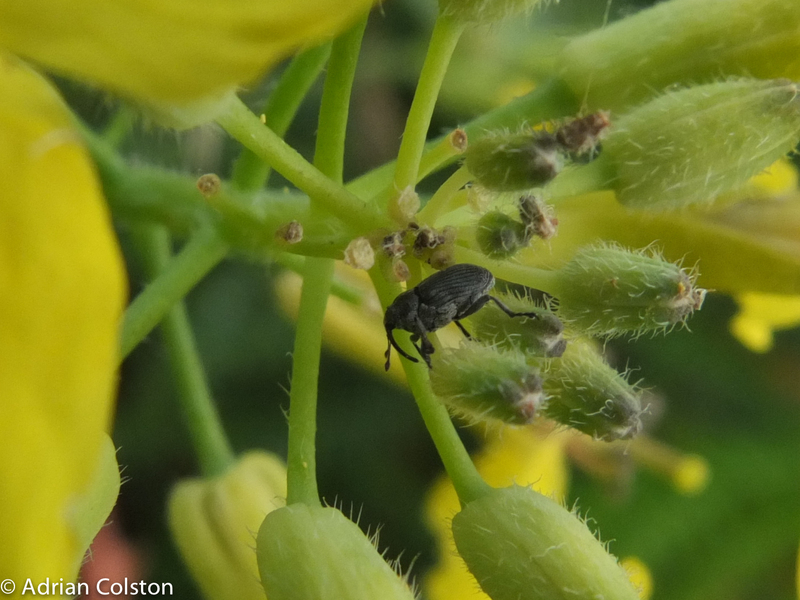 The Lundy Cabbage is also host to a unique flea beetle (Psylliodes luridipennis) which is a giant at 3mm compared to the weevil. The Lundy Cabbage flea beetle is a bronze brown animal – the one photographed above is a closely related blue one. I did manage to find a Lundy Cabbage Flea Beetle but didn’t manage to photograph it. They are called flea beetles as they have enlarged back legs which enable them to leap out of danger – this is exactly what happened as I was about to photograph ‘my’ bronze flea beetle as it sat in the palm of my hand. 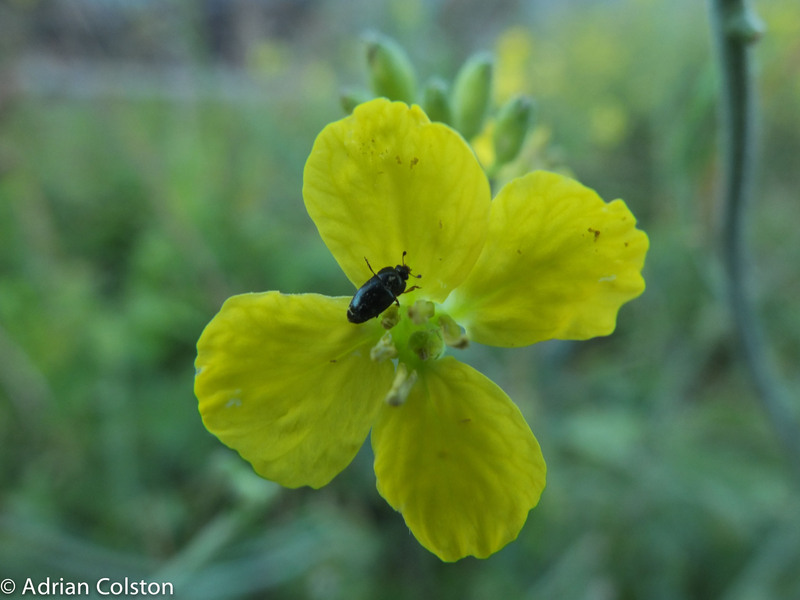 As a result you will have to make do with a photo of a blue non-endemic flea beetle sat on an endemic Lundy Cabbage flower.